Well it’s an English summer, and if (as usual) it’s a wet English summer in June, then the glory of Wimbledon Tennis Championships is almost upon us. Each year, from the end of June to the beginning of July, the Wimbledon tennis tournament takes place in this historic arena, backdrop to a beautiful game. 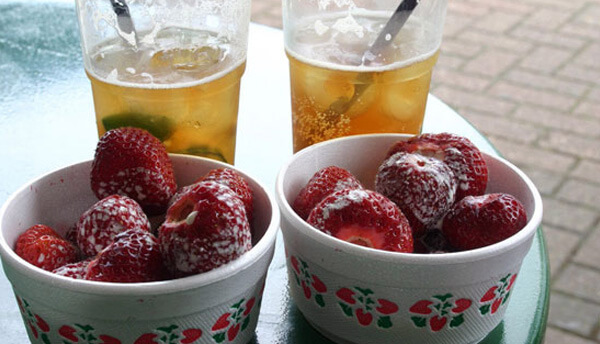 Ah Wimbledon – strawberries and cream, dappled sunlight (or raindrops) on perfect lawns, and all the drama and majesty of a wonderful, gladiatorial sport. Although it’s usually football that is called ‘the beautiful game’, and though I must admit to loving a good game of footie – all those ‘back of the net’ and ‘at the end of the day’ clichés can get a bit much! And there’s just something special about tennis. If I’m going to be a wet sports fan, I think I’d prefer to be at Wimbledon (unless you’re a lucky spectator on Centre Court, with the roof on), than on Level 1 at Wembley Stadium. If you get wet, so what? It’s Wimbledon! What would it be without Union Jack umbrellas and daft hats? (Well if you’re not tired of seeing the national flag already, in this Jubilee year). 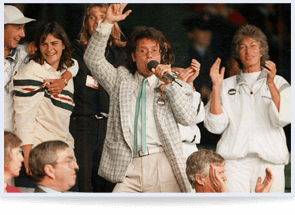 Even Sir Cliff Richard singing in the rain in 1996 after the inevitable declaration ‘rain stops play’ couldn’t dampen the great occasion. You may want to watch the beautiful Ana Ivanovic, or her fellow countryman and this year’s ‘one to beat’, the spectacular Novak Djokovic. They’re my two favourites, one for exceptional beauty, one for exceptional talent and lion’s heart, though of course each to his own – and whoever you want to see, what could possibly beat being driven to the tournament by a London chauffeur? 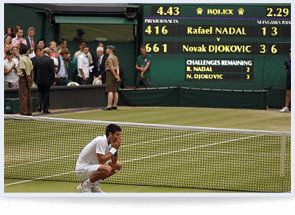 Whether you’re standing on ‘Henman Hill’, or ‘Murray Mound’ (if Andrew will pardon the expression) – or sitting in state at Centre Court for the final, surely nothing is more English, and yet more international than this fabulous tournament? You may be backing Britain, and want Andy Murray to win – or even to just get past the semi finals! 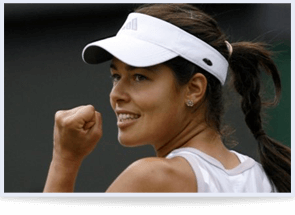 You may fancy Petra Kvitova – as it were – though I’m standing by Ana Ivanovic, any day. Perhaps you’re an ardent Raffa fan, or you’re so old you remember the old time greats like Ilie Nastase and Jimmy Connors? Whoever you’re backing, and whatever your age Wimbledon is always great – so why not be driven there in style, elegance and comfort with Mercedes Chauffeur Hire?